Something about Jenny Lewis' voice takes me directly back to Junior and Senior years of high school, my heaviest Rilo Kiley listening days. Although I'll always see her as Hannah from Troop Beverly Hills (because srsly, how great was that cinematic adventure? Shopping, camping and sabotage at its 80s best.) 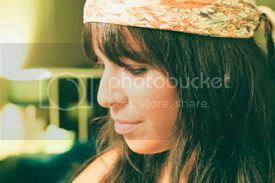 but she has really transcended her child star past, and becoming one of the ultimate hipster icons of our generation. I sort of thought of Rilo Kiley as a band that everyone universally liked- kind of like Cher or something.... Who also isn't apparently universally liked. It's just me and the gays. Maybe the only universal band anymore is The Beatles... But not even. I once met someone who said they didn't "get" The Beatles. It took everything in me not to kick him in the shins and run away. Instead I just continuously asked him questions like "No, but have you ever listened to 'Blackbird' and just cried? Because if you haven't, then you really haven't listened to The Beatles!" He still doesn't like The Beatles. As a result, I still don't like him. Anyway, back to RK. This story does not have a happy ending, my friends. Before I even make you fall in love with this band, let me tell you this: they broke up earlier this year, shattering my heart into a million pieces. They have yet to even call to apologize. Totes rude, right?! If you're not familiar, let me catch you up to speed. 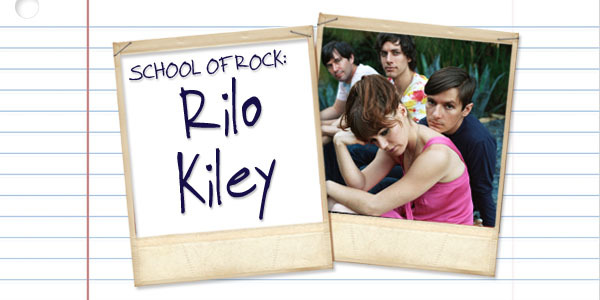 Rilo Kiley formed in LA in 1998, with lead singer, Jenny Lewis (of TBH fame), lead guitarist, Blake Sennett (who amazing humans will remember as Joey the Rat from Boy Meets World and Ronnie from Salute Your Shorts), drummer, Jason Boesel, and bass guitarist, Pierre de Reeder. In their time, they released four full length albums and one EP. All four albums are totally essential listening, but for different reasons entirely. Their first album, Take Offs and Landings, released in 2001, is my second favorite RK album, all for one song- "The Rest of My Life." The whole album is pure melodic indie pop beauty, but that song, in which Blake sings lead vocals, is everything. I play it on a loop. In 2002, they released The Execution of All Things, which showed a definite shift towards electronic sampling, and a more rockin' indie sound. It's funny the timing of it all, because in 2003, Jenny Lewis contributed to Ben Gibbard of Death Cab for Cutie's perfectly beautiful side project, The Postal Service, who are well known for their electronic indie pop sound. You can totally see the influence there. In 2004 came my favorite RK album, More Adventurous. I never stop listening to this record. It's full of so many amazing songs. "Portions for Foxes" "Does He Love You?" "It Just Is" "It's A Hit" picking my favorite would be impossible. Rilo Kiley's other releases were probably more apt to fit under the indie pop umbrella, but to me More Adventurous is their first indie rock album. Actually, it's their first and only indie rock album. In 2007, Rilo Kiley released their final album, Under The Blacklight, a much more electronic indie pop sounding album. Even though the band was LA based, their first three albums feel like Seattle to me. They make me want to sit inside writing the day away, while it drizzles rain outside. Under The Blacklight feels like Los Angeles to me. Definitely eclectic and pop sounding. I enjoy it for sure, but it's no More Adventurous. See, it is actually strange to me that everyone doesn't like Rilo Kiley. Their music is so accessible and benign. I know benign isn't exactly a word that everyone would like to have describe their music, but it's accurate! I've always thought it makes the best background music. And I mean that as a total compliment. It's life soundtrack music! PS- Jenny & Blake totally used to date back in the day, and I think they should get married. Like they're seriously ADORABLE. But apparently all of my dream couples are doomed to fail. Zooey & Ben, Rachel Bilson & Adam Brody, Jenny & Blake. UGH. Cruel cruel world. Rilo Kiley "Silver Lining" is my absolute fave. The video is great and her voice just makes me want to leave a guy at the altar. Great pick!